The Big Apple is an exciting trip for visitors of any age, but for toddlers, the city can be even more wonderous. New York City has much to offer for keeping the little ones occupied and entertained, including parks, zoos, and several museums specifically devoted to children. Note: Getting around NYC can be a bit of a hurdle with small children and strollers. Parents should know that while many of the subway stations have elevators, not all do, and there are few options other than walking down sets of stairs to enter most the subway stations. Alternative options are grabbing a taxi or rideshare car, but no matter which means of transport selected, it is ideal to bring the smallest stroller you own. 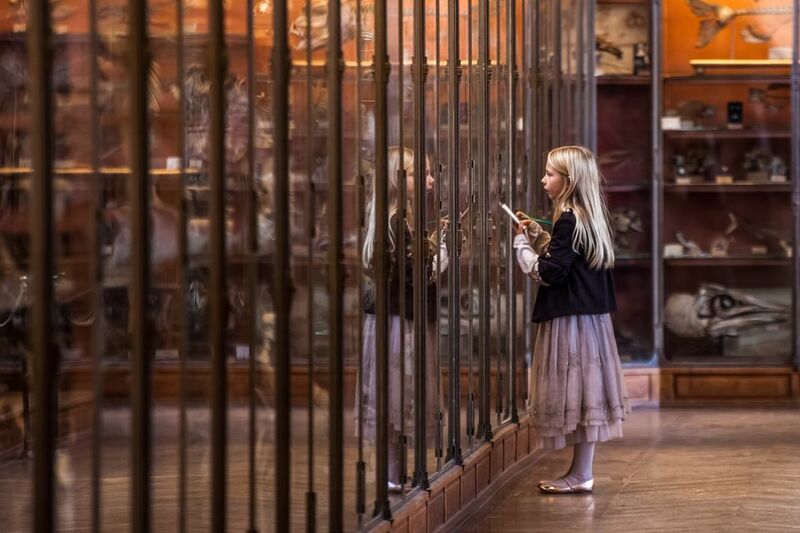 From the famed dinosaurs to the big blue whale, young children will be enchanted by the exhibits at the sprawling Upper West Side museum. The institution also offers activities and programs specifically for families and children, including a story hour and science and nature programs. The Discovery Center, while technically geared toward kids 5 to12, is a great spot to include on your Natural History Museum visit with lots of hands-on activities. The museum is a perfect activity to escape the weather during rainy days. Over 800 acres of fun for the whole family awaits in Central Park. Favorites for kids include Central Park Zoo, the Woods and Water Exhibit at Belvedere Castle, and boat rides at the Loeb Boathouse and the Central Park Carousel. In the summer there is storytelling at the Hans Christen Andersen statue. Swing by the nearby market in the basement of the Time Warner Center and pick up supplies for a picnic on the Great Lawn—the 13 acres of ample open space is ideal to let the little ones burn off excess energy by running around. Hosting over 4,000 animals, the Bronx Zoo captivates children of all ages. The bug carousel, children's zoo, and camel rides are sure to be a hit with young children, although additional charges apply. Visiting the Bronx Zoo is an all-day activity (bring your stroller or rent one there,) so if you're looking for a smaller zoo to visit with your toddler, consider the Central Park Zoo instead. ​Hands-on creative activities at the Children's Museum of the Arts include everything from making collages to forming clay figures to help encourage children's imaginations. The Wee Studio offers interactive arts activities specifically designed for kids five and under. The Children's Museum offers drop-in sessions to their Wee Arts program for those who don't like to plan that far ahead. Each session includes exploration of art materials such as play dough, paint, and chalk, as well as stories and music. The children can learn about fire fighting and fire safety while exploring the New York City Fire Museum's extensive collection. The museum also provides a history lesson on how infernos were battled during the early days of the city, and the kids can even check out the very first fire alarms—which were nothing more than wooden rattles. There is an extensive gift shop selling kids apparel emblazoned with the FDNY logo including bibs, onesies, t-shirts, and a mini-fire fighter hat, badge, and walkie-talkie. Does your toddler love trains? Then don't miss the New York Transit Museum. The kids can climb aboard numerous historic subway and train cars, fuel and drive a bus, and more. Located in Brooklyn Heights, this museum is easily accessible from Manhattan, and it's a great spot to include if you're visiting Brooklyn Bridge Park, planning to explore Carroll Gardens, or heading out to Coney Island. The Children's Museum of Manhattan has a consistently updated set of interactive programs that are ideal to engage young children. The majority of the programs are education focused and utilize dance, art, and multi-media to keep the kids enthralled. Pop culture exhibits like "Adventures with Dora and Diego" encourage the development of reading skills. During the summer the "City Splash" exhibit offers an outdoor water-play area— bring extra clothes and a towel. More than half of the 400 exhibits at the New York Hall of Science are hands-on, which is an excellent way for children of all ages to learn about science. The Science Playground features fun exhibits on balance, nature, sound, chemistry, and more. Preschool Place is perfect for toddlers with a wide variety of activities like a ball pit, sing-alongs, and story times. For a small extra fee of six dollars, you and your child can join the Little Makers Program, and "tinker, design and create together." The program is worth the time afterward that'll be spent washing supplies off your hands. If the kids get tired, there is a comfortable 3D movie theater showing a selection of science films that will be a quiet respite to take a small break from the activities. Take the subway to Coney Island and enjoy a day at the New York Aquarium, home to over 10,000 species of marine life. Sea lion demonstrations, penguins, seals, and walruses await to welcome the kids. After watching the fish, take a walk along the Coney Island boardwalk from the aquarium to dip your toes in the sand (or the ocean, and grab a bite to eat at Nathan's Famous Hotdogs or a slice of NYC pizza. The Brooklyn Children's Museum is specifically geared toward children 5 and under and features interactive experiences to promote literacy and development. The kids will get a chance to explore a ColorLab, sensory room, and nature area. The site is modestly sized, which can make a nice change from the mammoth museum options in Manhattan. This museum is also a favorite of Crown Heights residents, so it is a chance for the children to make some new local friends, and for the adults to get a few insider tips from their parents.